More than $51,000 granted for 18 projects for 2019! 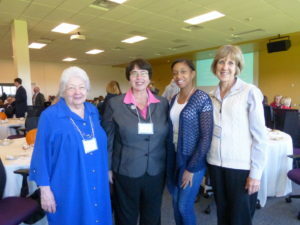 Opportunities, Alternatives and Resources assist women to apply to, enroll in or continue college. New Women Building Community Innovation Grant Announcement, too! 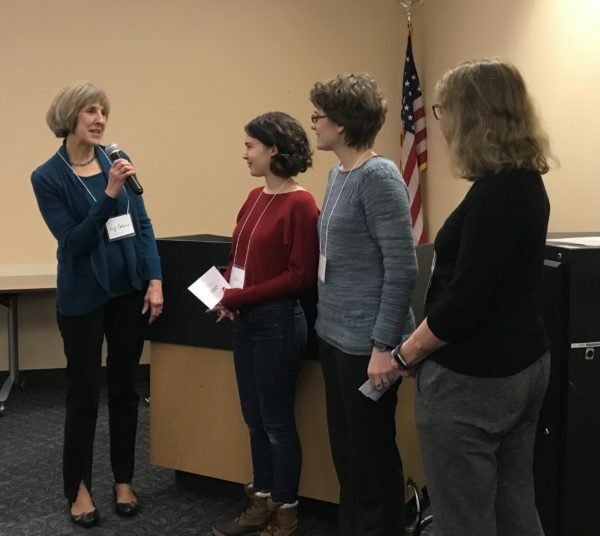 The one hour gathering in the Tompkins County Public Library BorgWarner Room will celebrate the sixth cycle of the CFWO's Women Building Community Grants. Outgoing board members will be honored and incoming ones welcomed, in addition to the election of new board leaders. Light refreshments will be served. 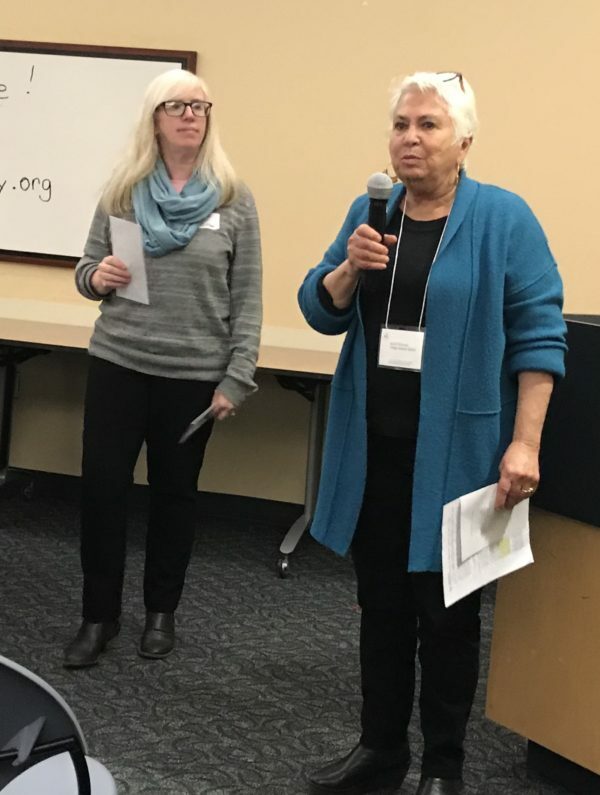 Eighteen projects have received Women Building Community (WBC) Grants totaling more than $51,000, announced Liz Colucci, president of the City Federation of Women’s Organizations (CFWO) board. 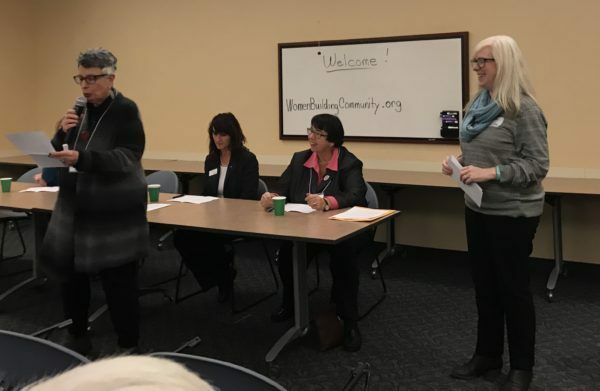 WBC Grant recipients were recognized at an event Tuesday, December 4 celebrating the ways they will help to improve the lives of Tompkins County women and girls. Grants were awarded on the merit of the program, quality of the application, and available funds for the cycle, explained Cora Yao, co-chair of the Grants Committee. She announced that $43,253 was awarded for 17 “WBC Up to $5,000 Grants” and $7,920 was made for the one “WBC Innovation Grant” in this sixth cycle of grants made by the CFWO. Nine applications were fully funded while others received partial funds. In total there were 31 applications requesting $162,549. “Every year, as I read the grant applications, I am overwhelmed at the care this community gives to acknowledge women's needs and create new opportunities that will enhance the lives of women and their families in Tompkins County. This year is no exception and every grant application that we received made me appreciate the amazing community in which we live,” expressed Colucci. The WBC Innovation Grant was awarded to Global Roots Play School (Ithaca Welcomes Refugees). WBC Up to $5,000 Grants were made for 2019 Ithaca Free Clinic Healthcare and Diagnostic Services for Women (Ithaca Free Clinic), A Place to Stay: Moving Up (Catholic Charities of Tompkins/Tioga), Advocacy Center Therapy Program (Advocacy Center of Tompkins County), College Initiative Upstate: Wise Women (Opportunities, Alternatives and Resources of Tompkins County), Enabling Successful Women and Children (Faculty Student Association Childcare Center at Tompkins Cortland Community College), Gaia Girls (Ithaca Children’s Garden), Global Roots Play School (Ithaca Welcomes Refugees), Graduated Leadership Employment and Development Skills Paid Partnership (Women’s Opportunity Center), Homebound Instructions for Immigrant and Refugee Women (Tompkins Learning Partners), Meditation and Yoga for GIAC Senior Citizens (Greater Ithaca Activities Center), “Other Powers: Trauma Survivors Reclaim Joy” Multi-Media Presentation (CloseToHome Productions), Removing Road Blocks (Child Development Council of Central NY), Ripples of Change: Promoting Diversity in Women’s Civic Leadership (Natural Leaders Initiative), Strength in Girls @A+: Mindfulness and Yoga (BJM Enrichment Program), Telling Histories: Women’s Oral History Project (The History Center in Tompkins County), Varna Kitchen Renovations (Varna Community Association), and Women Homeowner’s Small Repair Materials Fund (Better Housing for Tompkins County). The City Federation of Women’s Organizations was founded in 1910 by a group of women "concerned with education, recreation, philanthropy, health, safety and civic betterment." As the number of member organizations grew they purchased a home on the corner of Cayuga and Seneca Streets in 1920 and opened the first Women's Community Building as a recreational center for women and girls. This center had meeting rooms, a public rest room, and living quarters for young working women. In 1927 they purchased the house next door and it became a home for older women. In the 1940s they opened a community nursery school. The mission of the City Federation of Women’s Organizations is to support women and girls and to act as a catalyst for the improvement of the lives of women and girls in Tompkins County, thus making a contribution to the community as a whole.